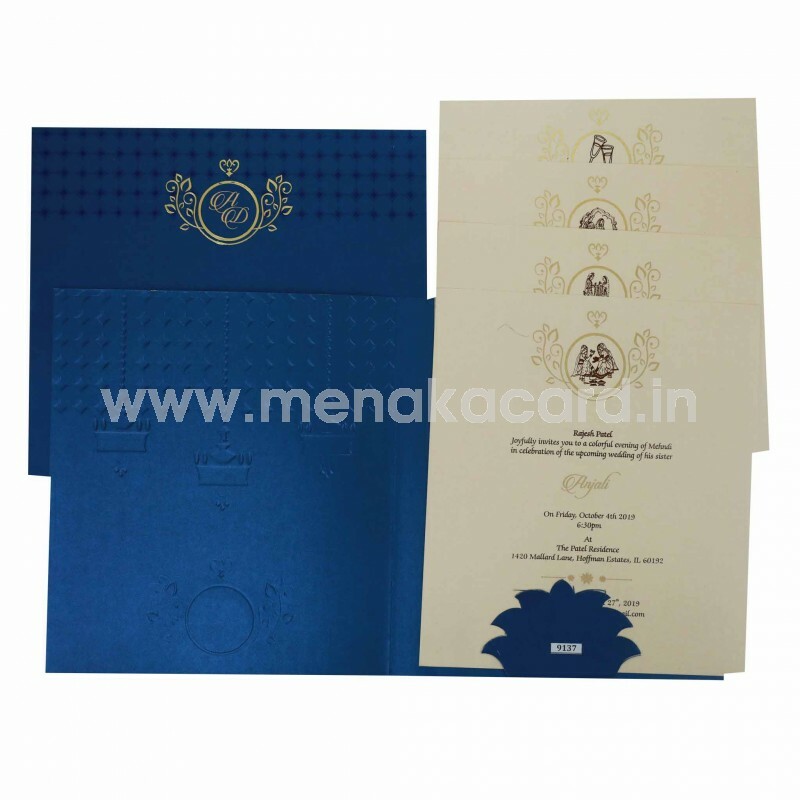 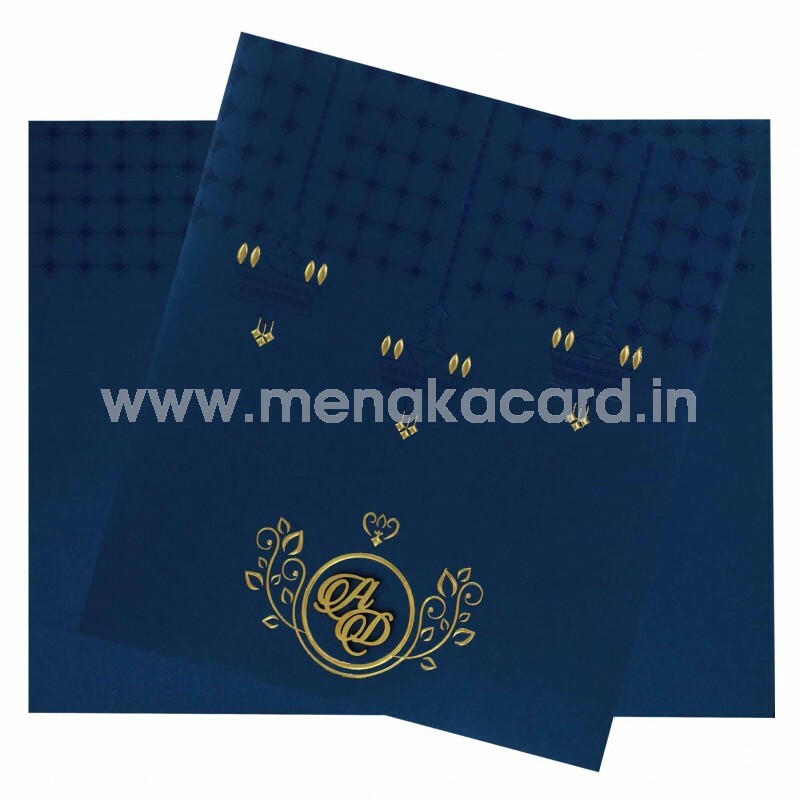 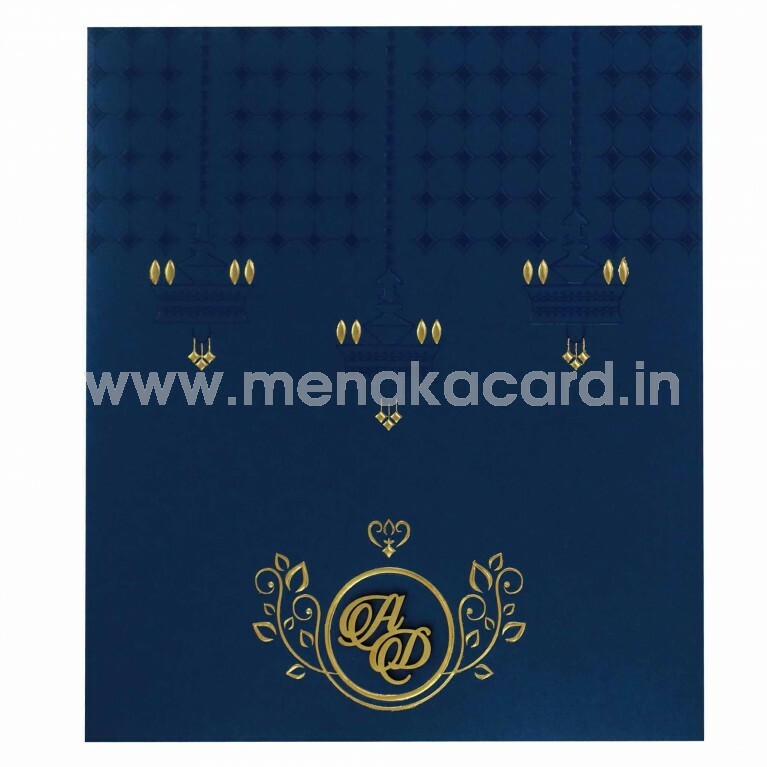 This semi-modern royal blue coloured card is has a traditional touch added to it in the contemporary take on the Indian hanging lamps or kutthuvilakku, printed in a geometric pattern in gold foil and deep blue ink embossed into the card on top of a diamond lattice design on top. The initials of the couple in gold laser sticker is highlighted by a modern but minimal floral filigree frame embossed in gold foil. The insert of the card sit in the card holder is made from the same shimmer board and can be made in cream, yellow, orange or green with contrasting text. 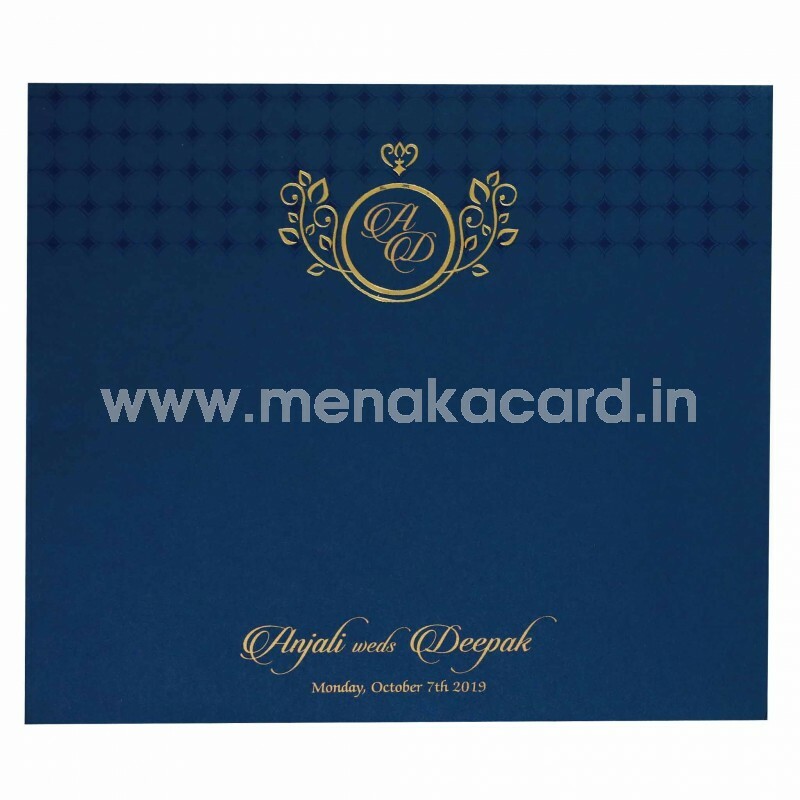 This can be used in Hindu weddings where a traditional touch is required mixed with modern design.